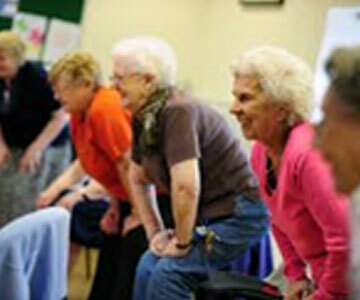 At Mark Phillips Fitness Services we provide group exercise classes in the West Midlands for older adults. This can also be found on our older adult's page. We also provide a specialised home rehabilitation package for seniors with various medical conditions. This is mainly for people who can't leave the home and need to do their exercise in their home. 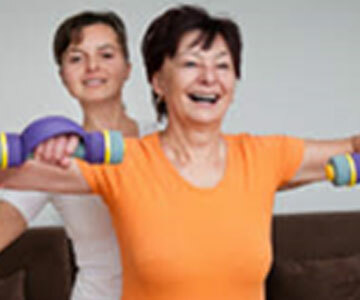 A home exercise programme of physiotherapy and mobility exercises for older adults. A selection of specialised home equipment for progression and strength training. 4, 8 or 12-week mobility programme. Targeted exercises, especially for Balance, Strength, Mobility and Arthritic Conditions. 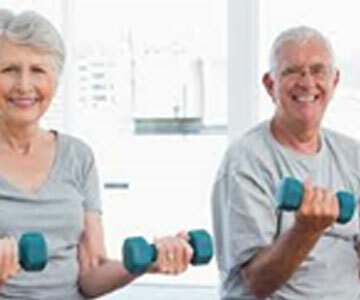 What are the benefits of exercise for seniors? Exercise can increase bone density and prevent Osteoporosis. Exercise will improve self-efficacy and maintain independence. Exercise can maintain balance, improve reflexes and decrease the chances of falls. Exercise classes can create a sense of community. Exercise boosts mood and can help combat depression. Exercise can help prevent and regulate diabetes. Exercise will improve flexibility, joint range of motion and functional movement. For this particular home service, we provide an instructor who is fully insured and DBS checked to complete weekly home sessions for older adults. This can be done by demand or by choosing a package from above and the cost depends on what is required for the condition of the clients and their location. Please call Mark Phillips to enquire or find out more 07765 138475.